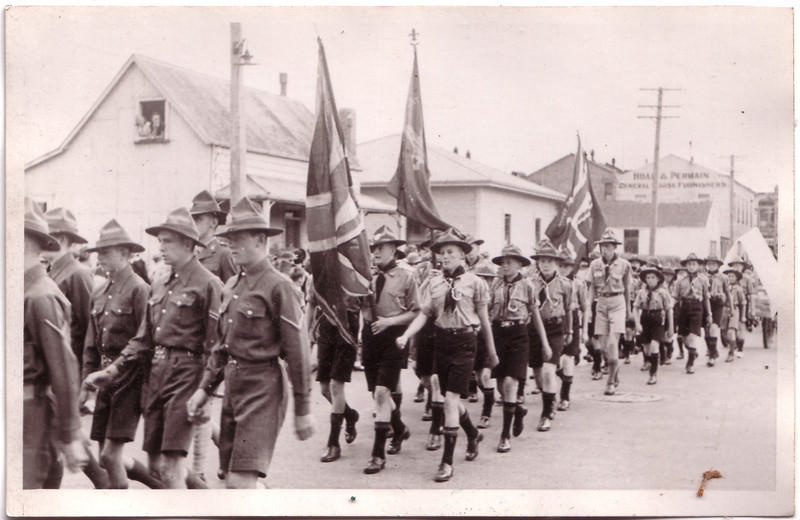 Photograph of the Scouts of marching as part of the annual ANZAC day parade in Masterton. St Matthews Scouts are most likely in the picture along with Scouts from other Troops. Taken during the 1930's.